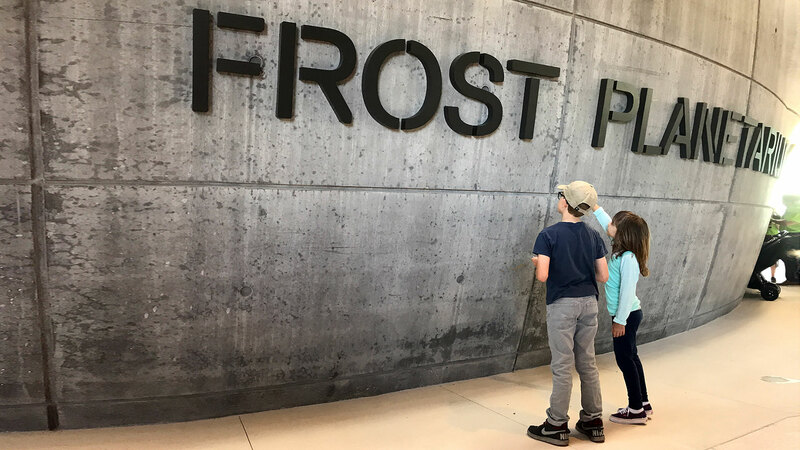 SuperUber created the digital content and interactive experiences for the permanent exhibition Feathers to the Stars, at the Frost Science Museum in Miami – about the past, present and future of flying. 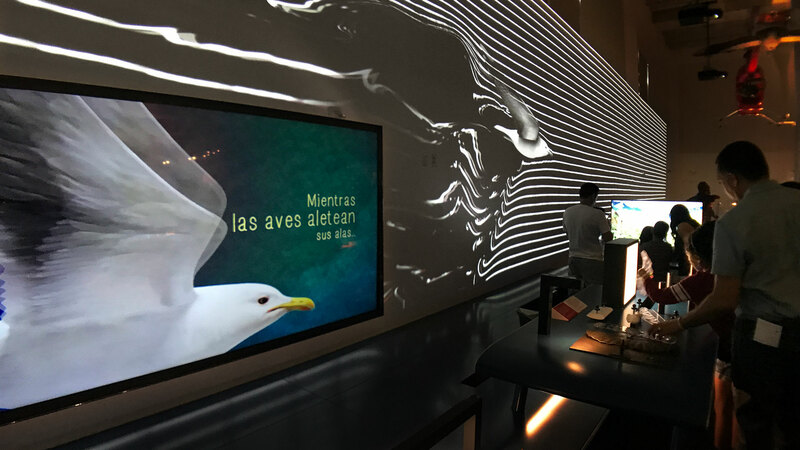 The bilingual content displays a collage of elements, where different styles coexist to tell a complex story, in an exhibition that highlights experimentation. 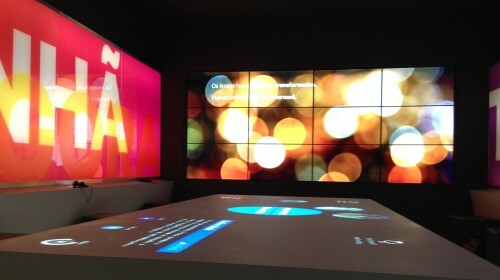 The FlightWall embraces the whole space of the exhibition. 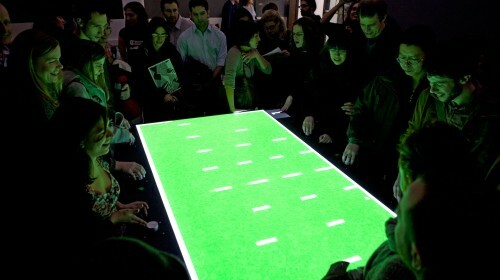 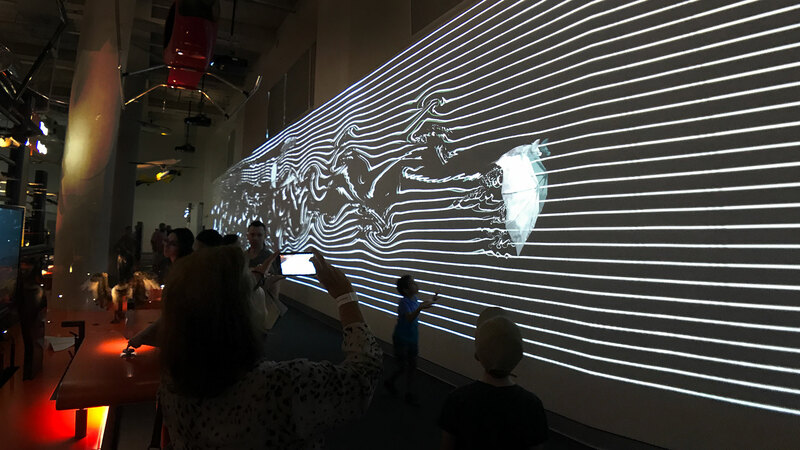 It’s a generative art installation in which each moment is unique. 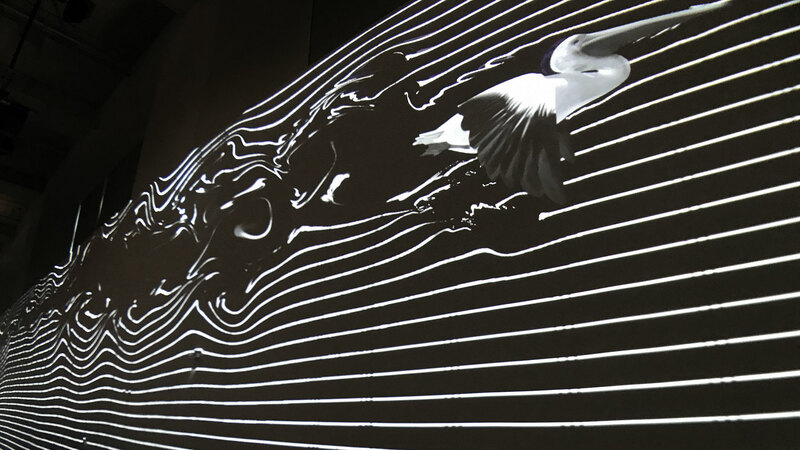 A minimalist black and white projection – approximately 65ft wide – simulates a real-time wind tunnel that reveals the invisible world of air that flows around flying creatures and machines. 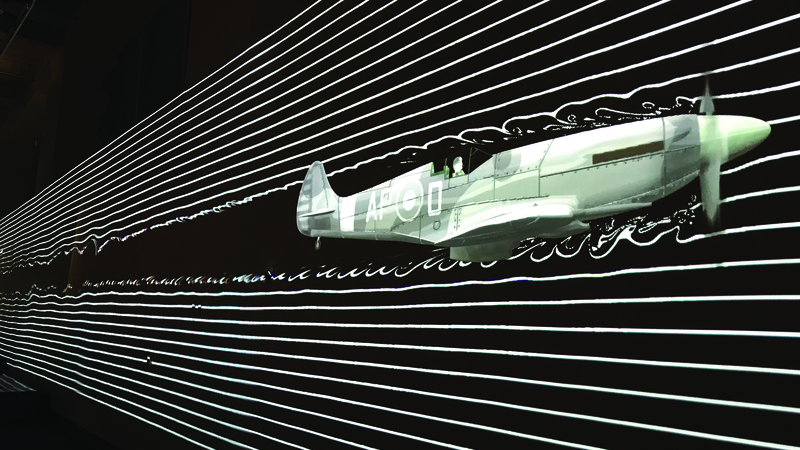 Between flight moments, memorable quotes are projected, formed by smoke particles. 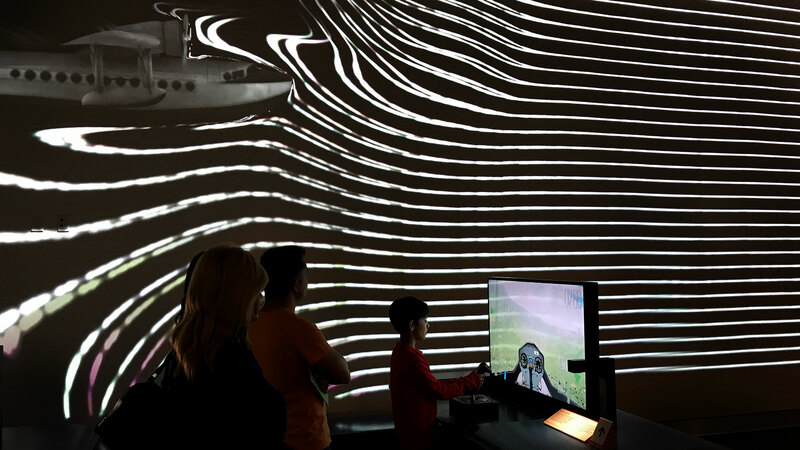 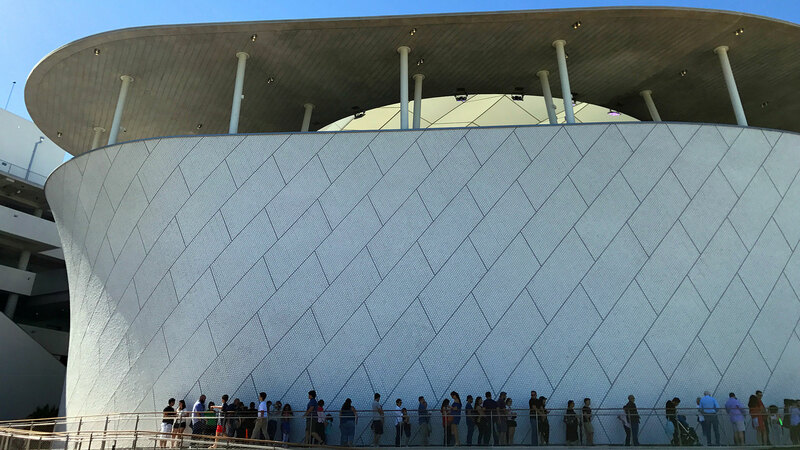 The Flight Wall inspires visitors with the movement, dynamism and poetry of flight. 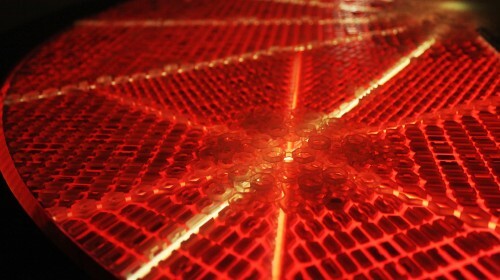 Seven animated 2D and 3D videos illustrate the clusters of the Feathers to the Stars exhibition. 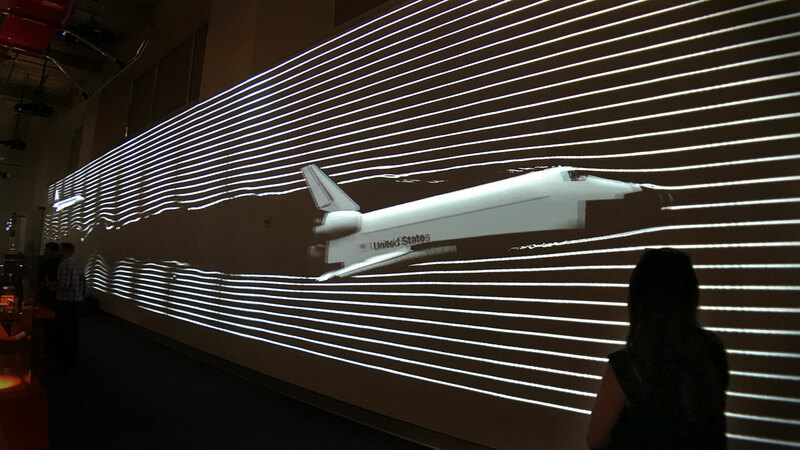 With a visual identity created for the exhibition, the videos mix cut-out animation, CGI, motion graphics and sound design to illustrate the history of human flight throughout the gallery. 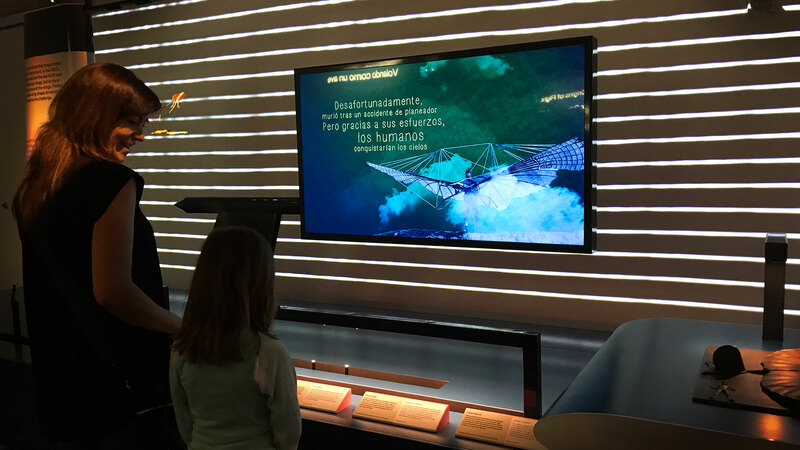 Further Faster Higher: using quotes from the pioneers of flight such as Santos Dumont and the Wright brothers, this timeline shows how humans have been driven to evolve and learn from their mistakes, always pushing the boundaries of aviation. 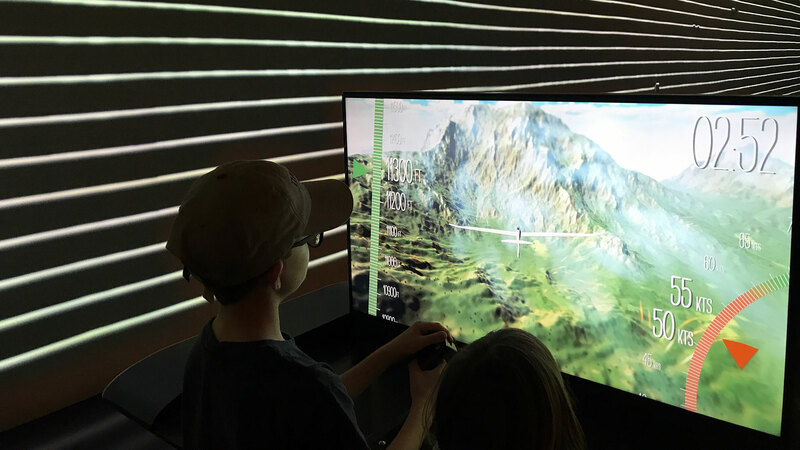 Glider Interactive Simulator: this 3D interactive experience simulates a glider flight. 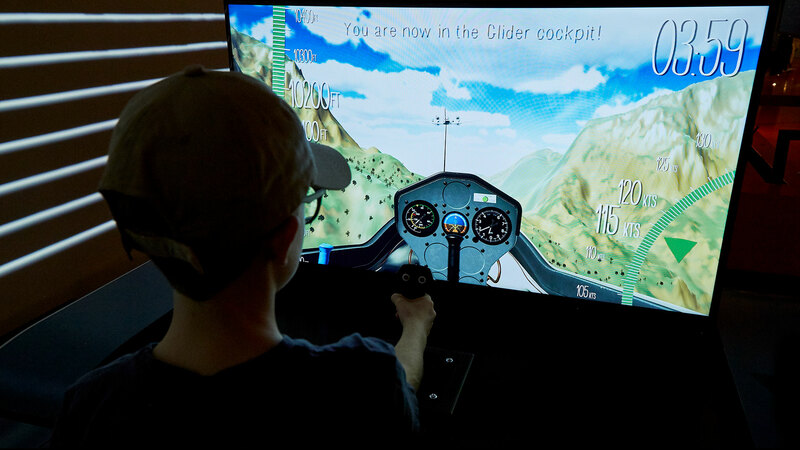 The visitor becomes a glider pilot, flying through mountain ranges to find rising air thermals to sustain its gliding and stay longer in the air. 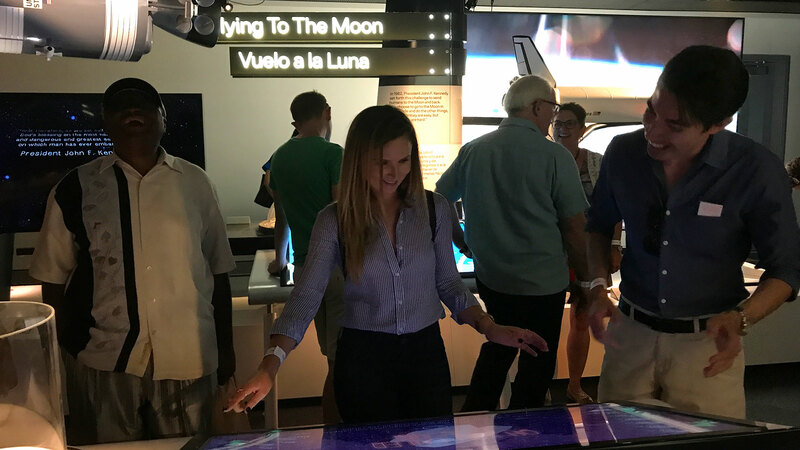 Flying to The Moon and Mars Landing: in these two games the visitor must work with instructions and precision of time to achieve all the stages of each mission: to bring the Apollo mission to the Moon and back to Earth, and to land safely on Mars. 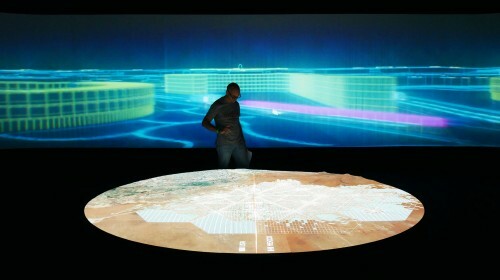 Hovering and Landing Spin Browsers: using a dial, the visitor can control the speed of Hovering (to remain in one place in the air) and Landing videos. 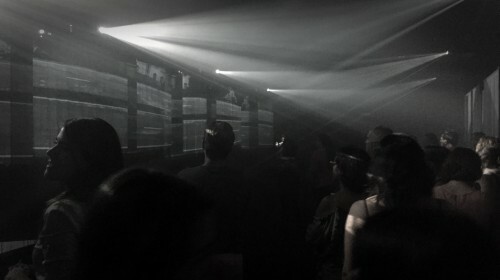 Being able to control the videos in slow motion, the visitor understands the forces needed and the mechanical and natural worlds, emphasizing how we learn from nature. 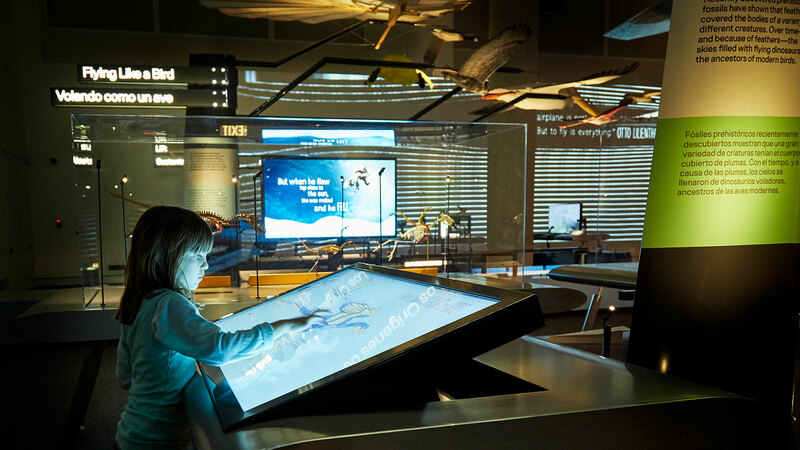 Dinosaurs to Birds: this interactive screen shows the visitor how some features of a dinosaur (not used for flying), are similar to some birds’ features that are used for flying.